Long revered in both East and West, St. Lucia is an early virgin martyr whose life and legacy shine as a light of faith, hope, and compassion in the darkness of winter and sin. 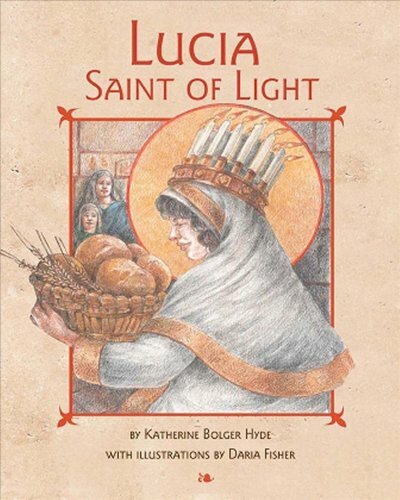 Lucia, Saint of Light introduces young readers to both her life and her delightful Christmas-related festival as it is traditionally celebrated in Sweden and around the world. Daria Fishers warm and vivid illustrations will make this book a favorite with children and parents alike. Brighten your home this winter with the festival of Lucia, Saint of Light. If you have any questions about this product by Conciliar Press, contact us by completing and submitting the form below. If you are looking for a specif part number, please include it with your message.